Our newest creation was picked up today by mom & dad. Mom's gown came to us with quite a bit of stains on the bottom from dragging around on the ground. Also, the dress was stepped on and the hem came out. We were able to work our magic by finding the least stained areas to cut out baby's dress. 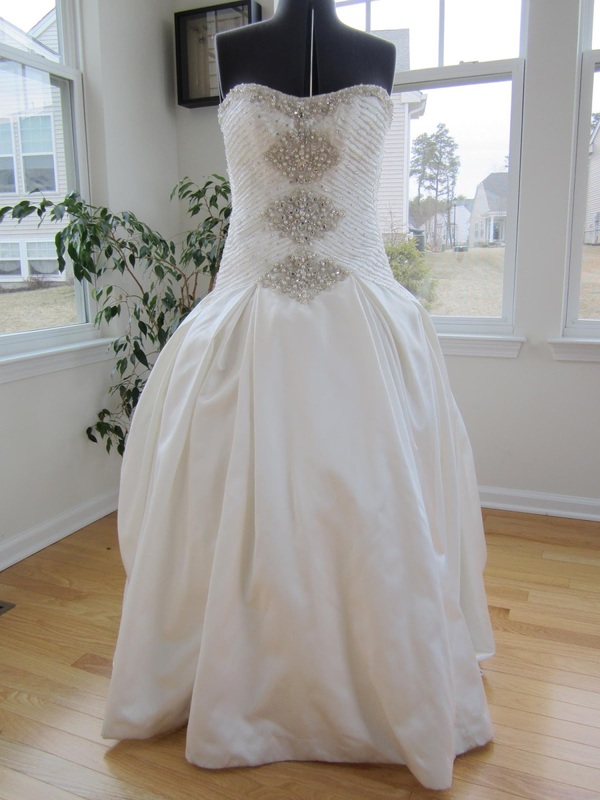 Sometimes the length of the dress changes depending on what our customer wants or how badly stained the dress is but we were able to do the traditional long dress. 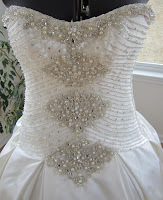 We used the smaller beading and hand stitched it on the edge of the sleeves and used one band of them on the bonnet. 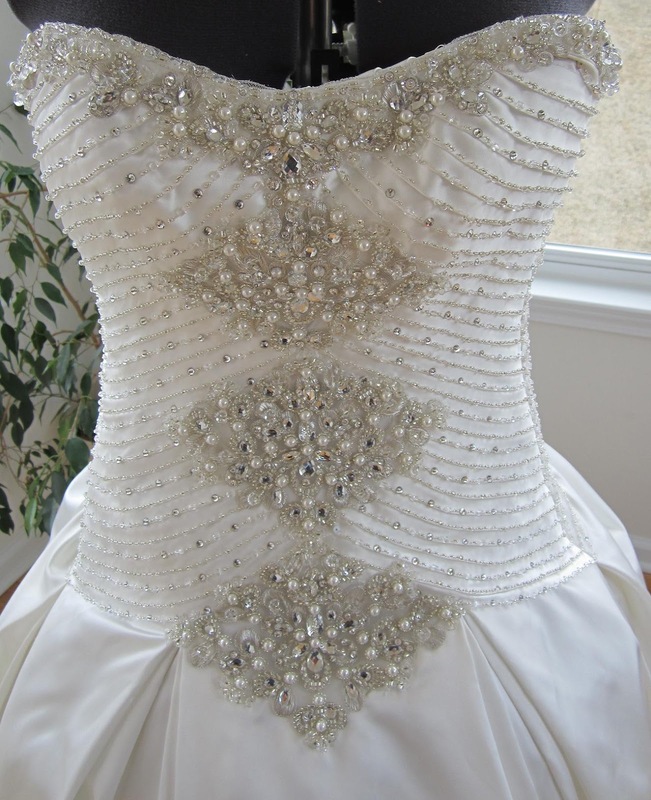 We took just a small amount of the beaded trim work to put on the bodice and place a small decorative touch on the bonnet just to pull it all together.